Watch a visual for the singer’s hedonistic track. Popcaan debuted "Never Sober" last June. 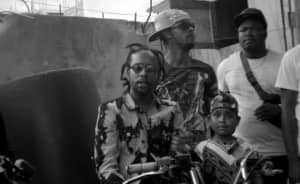 The festive clip for the tune arrived today; it finds Popcaan flitting from party to party. Towards the end of the night, he treats one crowd of revelers and admirers to a short performance. When describing the visual to Noisey, Popcaan kept things basic: "It's just like the song says: never sober." Watch above.